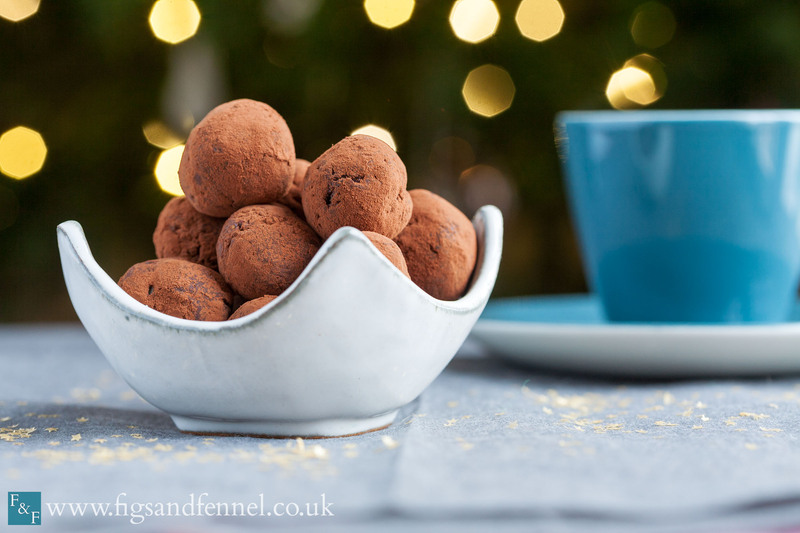 These chocolate truffles are great for Christmas, Easter, Valentine’s Day, or any other time you fancy a chocolate fix. After creating the basic truffle mix you can flavour as you please. Simply follow the recipe but before you put the ganache in the fridge to set, stir in your chosen additional flavours. Some possible variations are listed at the end of the recipe. That said, these truffles are luscious without any added extras and the purists among you may want to leave the chocolate unadulterated. 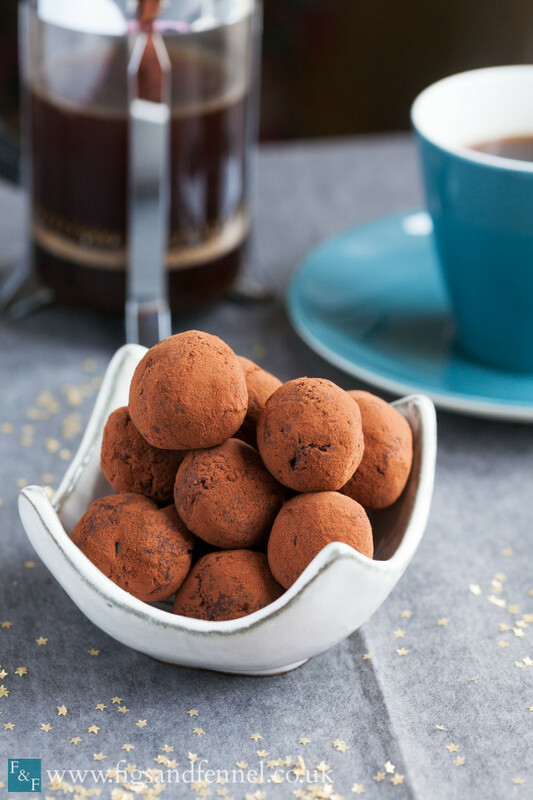 Super easy to prepare, the chocolate truffles can be kept in the fridge for 5 days (probably more but they’ve never lasted long enough in our house to test this theory). Suspend a heat proof bowl over a pan of boiling water and empty in the tin of coconut cream. The cream will have separated a bit so stir continuously over the heat to get rid of any lumps. When the cream is smooth and hot add the chocolate pieces and continue stirring. When all the chocolate has melted, stir through the coconut oil. Transfer the mixture to a blender and put on a low mix for 30 seconds until you have a smooth ganache. Add any additional flavours - see variations below - then transfer the mixture to the fridge for 3 hours to set. Remove the mixture from the fridge around 15 minutes before use. To prepare the truffles shake out some of the cocoa powder over a chopping board. Spoon out around a teaspoon of mixture onto the cocoa dusted board and roll into a ball. Toss between your hands to get rid of any excess powder. Repeat the process, adding extra cocoa powder to the board as necessary, until all the truffle mixture has been used up. There are many variations on this recipe and you really can add pretty much whatever you want. A few of my favourites are listed here. Cranberry and orange: 50g of dried cranberries, roughly chopped + the zest of ½ orange.Brighton Rock: Take a small stick of rock or a handful of any other sort of hard mint sweet, place in a sealed plastic bag and bash with a hammer until it is broken up into little pieces. Turkish Delight: Take half a box of Turkish Delight (some have gelatine in so watch out for this, but many are vegan) and chop into little pieces. The rose flavour works best, I think. Ginger: Roughly chop 50g crystalized ginger. Ridiculously simple and probably my favourite. Other happy flavours include coffee, walnut and dried cherry, and orange and ginger. Experiment and enjoy!